Home / Uncategorized / Sea Otter ’16 ! 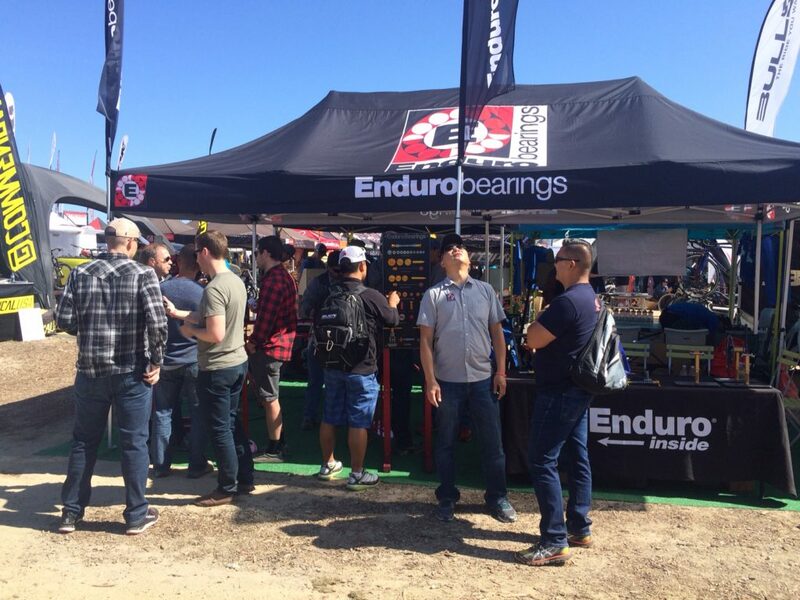 As we get around to dusting off our bikes and packing away the tools, we just wanted to say to everyone who attended this year’s Sea Otter Classic: thank you! It was an amazing show and your positive feedback and support was great to hear. For those that managed to get a peek of our new DT and Front Hub tools, keep your eyes peeled in the coming weeks as they become ready for release! Great riding, solid folks, and a few beers along the way to keep it all together…another Sea Otter done (and dusted). New Enduro Tools at SOC’16!Enduro Bearings T47 spotted at NAHBS ’16!